Issues surrounding joint representation by attorneys in criminal cases are fairly straightforward. The U.S. Supreme Court three decades ago, in Cuyler v. Sullivan, held that a defendant in a criminal case may demonstrate a denial of effective representation of counsel, guaranteed under the Sixth Amendment, by satisfying a dual criteria: 1) defense counsel was actively representing conflicting interests, and 2) the conflict(s) had an adverse impact on counsel’s performance while representing the defendant. Rule 44 of the Federal Rules of Criminal Procedure permits a trial court in cases where multiple defendants are represented by the same counsel to promptly hold a hearing to determine the existence of potential conflicts and to advise each defendant of their right to separate representation. The trial court’s failure or refusal to conduct a Rule 44 hearing is not reversible error unless it is established that there was an actual conflict of interest. That’s because Rule 44 is not a mandatory “shall” statute prohibiting the joint representation in a criminal case because such representation is not per se violation of the right to effective assistance of counsel. Although the statute does not use a mandatory “shall,” lawyers who represent clients with potential conflicts are treading on very thin ice and should seriously consider referring one of the clients to another lawyer, possibly working under a joint defense agreement. Joint representation in quazi-criminal situations, such as government regulatory investigations, is far more complex and complicated. This is especially so in cases where an attorney represents both a corporation and its individual officers, or employees, in government investigations or court proceedings. This was underscored in a 2009 United States District Court ruling in the case of United States v. Nicholas involving the suppression of privileged communications. In 2006 the law firm of Irell & Manella LLP (“Irell”) undertook joint representation of Broadcom Corporation (“Broadcom”) and its Chief Financial Officer, William J. Ruehle. Irell was representing Broadcom in an “internal investigation of its stock option granting practices” while simultaneously representing Ruehle against two shareholder lawsuits “regarding those same stock option granting practices.” Significantly, prior to undertaking these multiple representations which had clear “adverse interests,” Irell did not obtain an informed written consent from Ruehle agreeing to the joint representation. One month after undertaking the multiple representations Irell lawyers met with Ruehle to discuss the “stock option granting practices at Broadcom.” Before the meeting got underway, the Irell lawyers did not inform Ruehle that they were there representing “only Broadcom” and that “whatever he said to them could be used against him by Broadcom or disclosed by the company to third partied.” As a consequence, Ruehle freely told the lawyers how the practices worked and his role in them. Following the meeting Broadcom instructed Irell to disclose what Ruehle had told them to the company’s auditors, the Securities and Exchange Commission (“SEC”), and the U.S. Attorney’s Office (“Government”) without obtaining the CFO’s consent. The Upjohn court established what is known as the “Corporate Miranda” warning which is given to inform “a constituent member or an organization that the attorney represents the organization and not the constituent member.” The “Corporate Miranda” warning was put in place to advise an employee or the officer of a corporation that the corporation is the client and, therefore, controls “the privilege and confidentiality” of any communication given by the employee/officer. The warning is designed to give “non-client” employees/officers who are communicating with the corporation’s attorney(s) notice that no attorney-client relationship exists between them; and that any information disclosed to the corporate attorneys can be disclosed to third parties if such disclosures serve the best interests of the corporation. The Government tried to argue that the Irell lawyers had given Ruehle an “Upjohn warning,” but this argument was forcefully brushed aside by the court who, first, said it did not believe such a warning had been given, and, second, even if Irell lawyers had given such a warning, it was “woefully inadequate under the circumstances.” The court added that the Upjohn warning was actually irrelevant because there was an “undisputed attorney-client relationship between Irell and Ruehle” and the Upjohn warning is designed to protect “non-client” employees/officers in which there is no privilege. Texas Disciplinary Rule 1.0(c) also permits the multiple representation of clients under certain circumstances; namely, 1) the attorney reasonably believes that the representation of any one client will not materially and negatively affect the representation of any other client; and 2) each client consents after being fully informed of the nature and implications of possible adverse consequences of multiple representation. The Bloomberg Law Reports, in an article titled “Representing Multiple Parties in a Derivative Litigation,” pointed out that “shareholder derivative actions “represent a narrow exception to the general rule that a corporation’s board of directors has the power to decide whether the corporation should initiate litigation.” In these actions, shareholders bring the litigation on behalf of the corporation for “alleged wrongdoing by corporate officers or members of the corporation’s board of directors, seeking relief for the corporation’s benefit.” Such litigation poses “potential conflicts of interests at various stages” of the litigation when an attorney is representing both the corporation and its directors and officers. 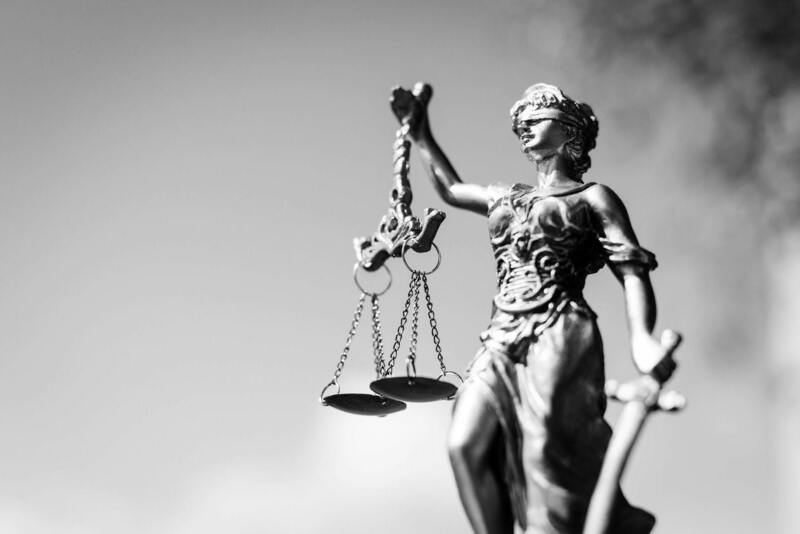 Because of the obvious and numerous possibilities of conflicts of interest, is unadvisable for an attorney to undertake joint representation in these cases or the proceeding investigations, except in very limited circumstances. The potential pitfalls in joint or multiple representation cases are tremendous and generally lead to numerous headaches for the attorney undertaking such representations. We strongly suggest that before taking on such representations the attorney consult with an “Attorney-Client Agreements Toolkit” like the one offered by the Risk Management Handouts of Lawyers Mutual, Liberty Insurance Company of North Carolina. These toolkits provide sample agreements, as well as advice and instructions, before undertaking joint or multiple representations. These kits are especially beneficial to smaller law firms who find themselves involved in complex litigation where the corporation is committed to protecting itself against the interests of its employees as was the case with Broadcom and Ruehle. In an excellent article titled “Internal Investigations: What Is At Stake for Employers and Employees” that appeared in The Champion (April 2010, the official publication of the National Association of Criminal Defense Lawyers, Philip S. Kushner also discussed the legal ramifications when corporations are pressured to cooperative with criminal investigations, especially at the expenses of its employees—a situation that creates a myriad of potential conflicts of interest by an attorney representing all the parties involved in the investigation. The word “think” should be added to the old adage “stop, look and listen” before you act. The dangers and pitfalls are simply too great for most attorneys, especially in small firms, to undertake joint or multiple representations. The money may be good, but the damage to one’s professional reputation, injury to the client and possible malpractice lawsuits that follow are not.